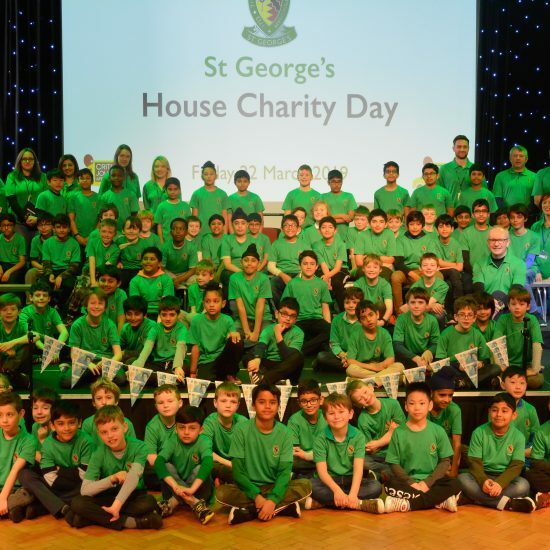 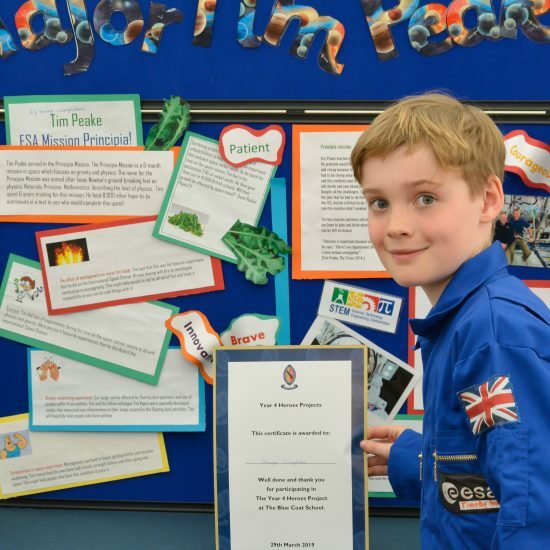 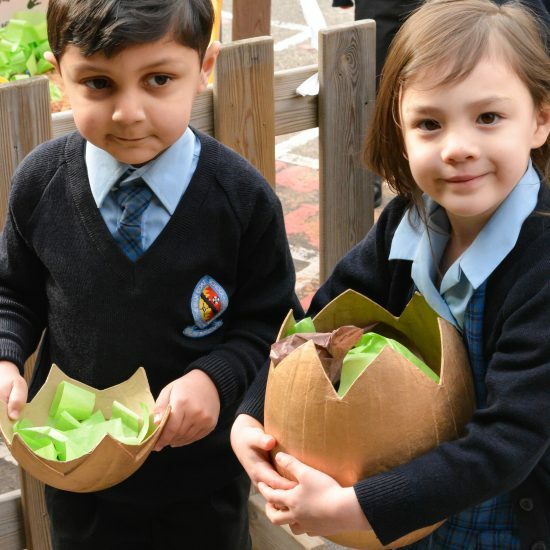 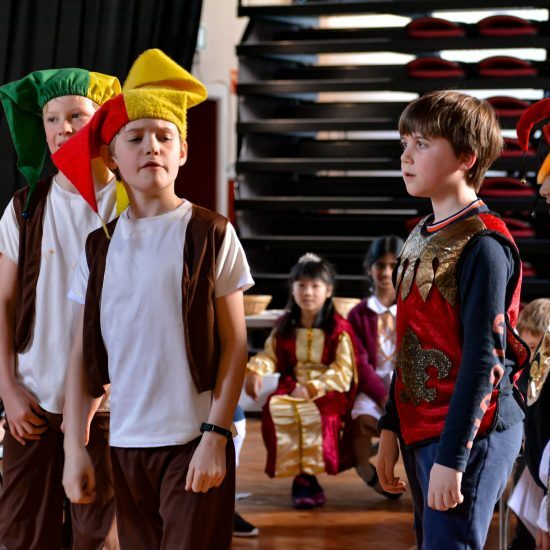 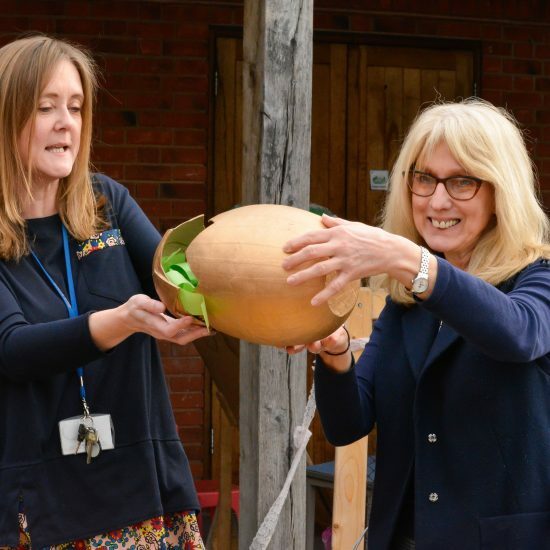 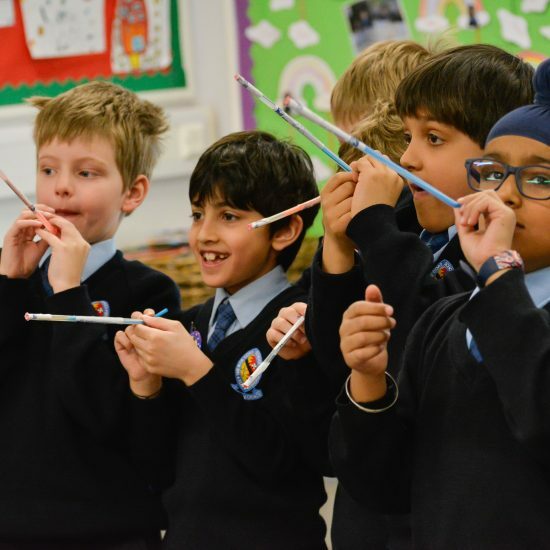 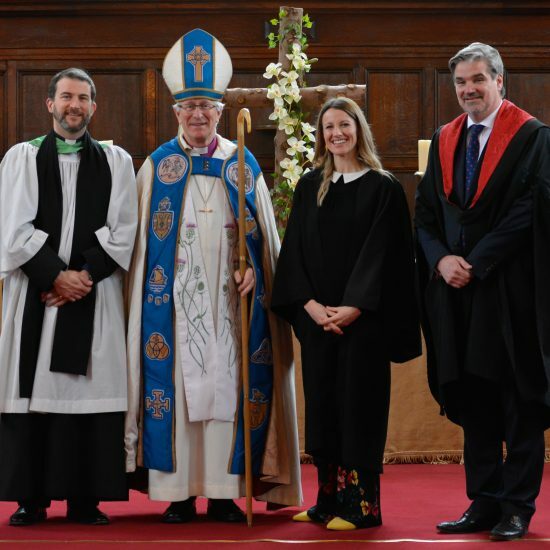 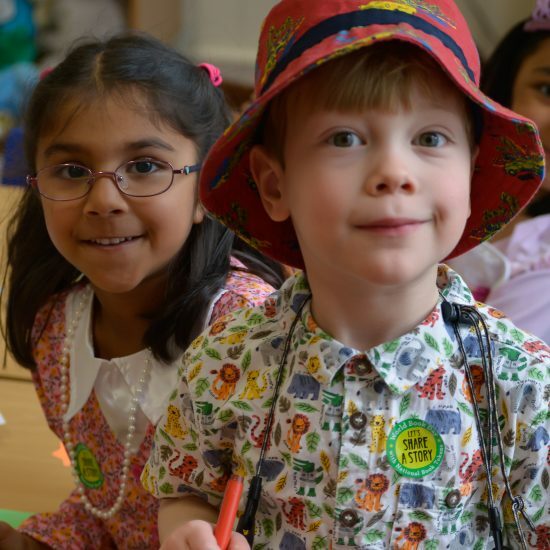 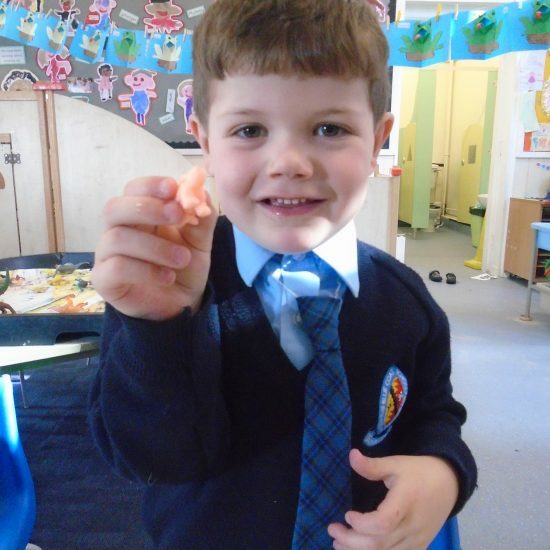 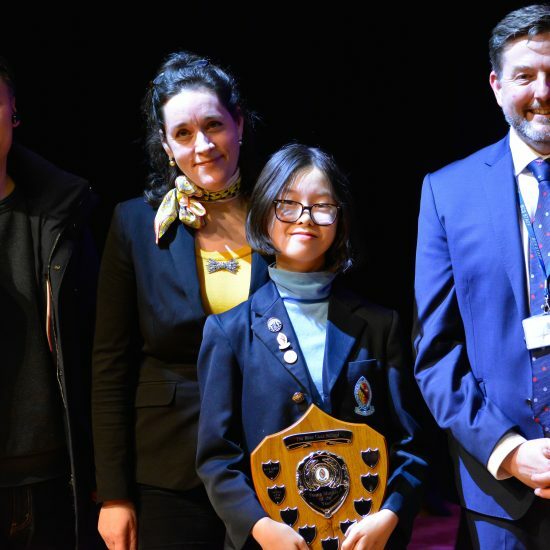 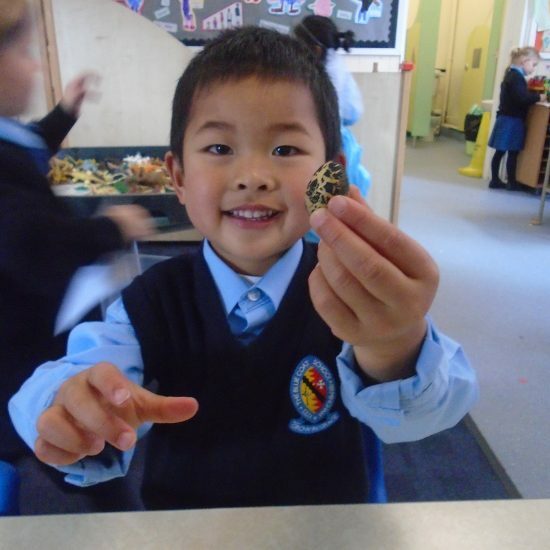 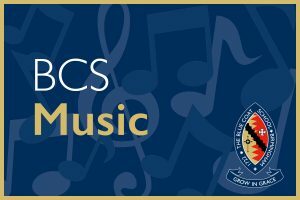 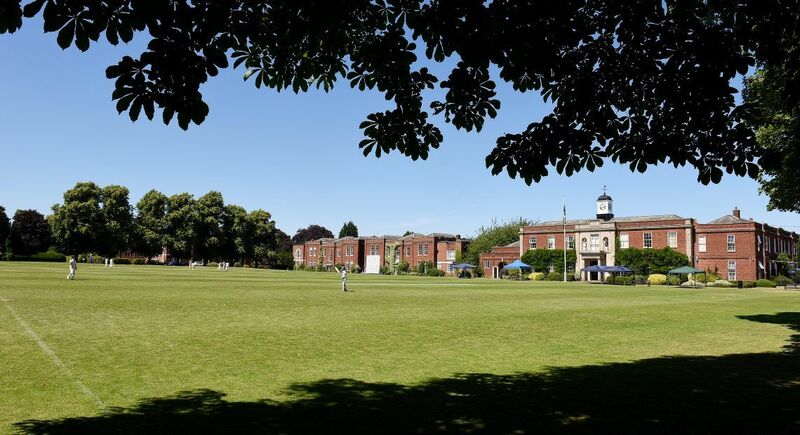 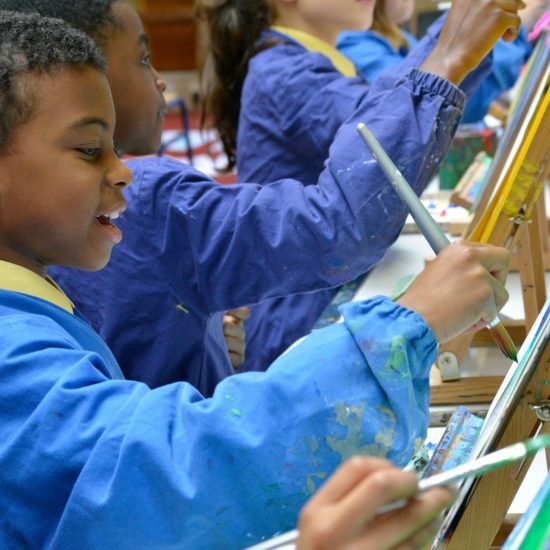 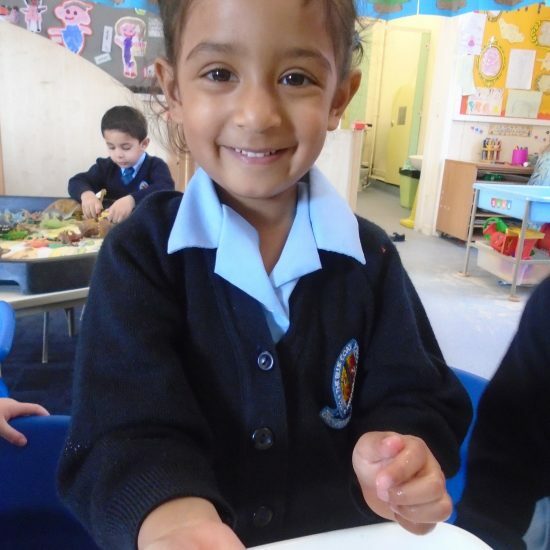 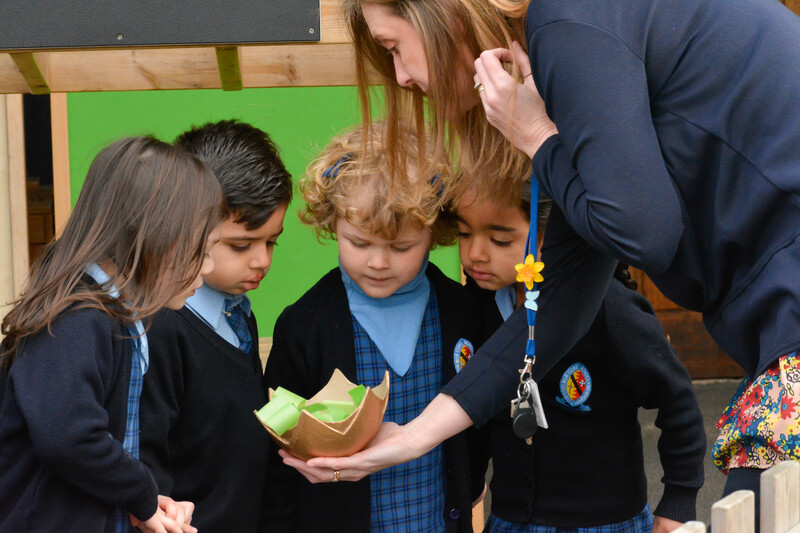 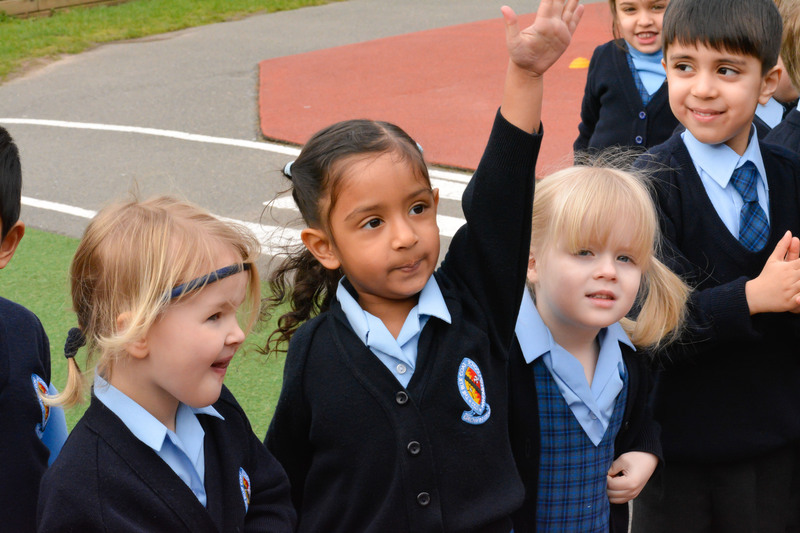 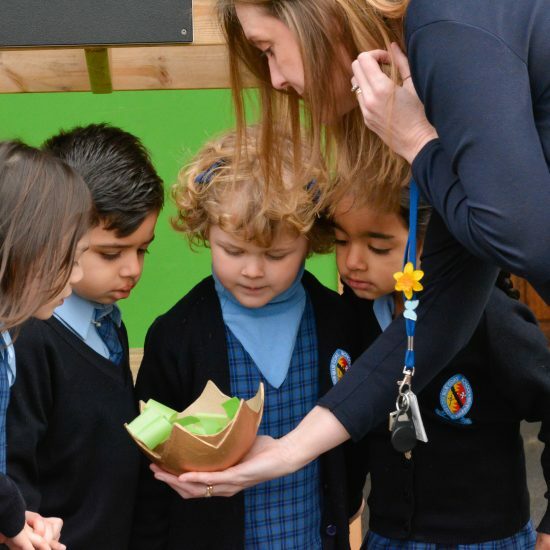 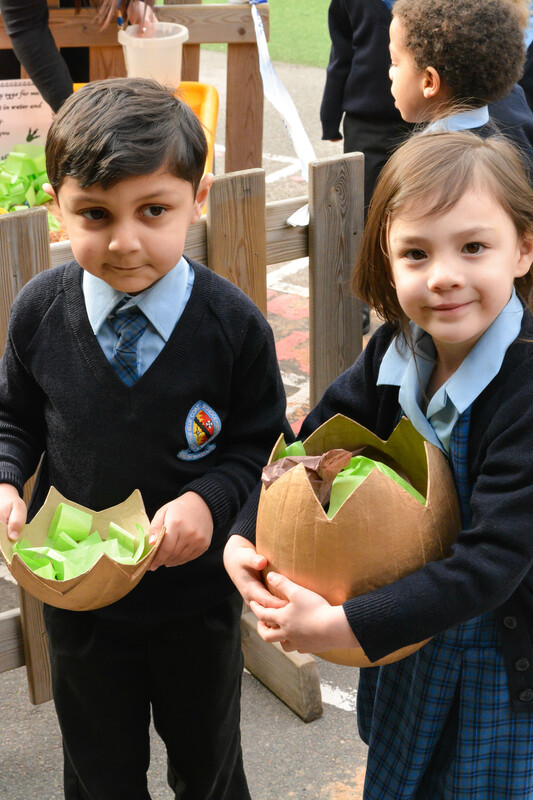 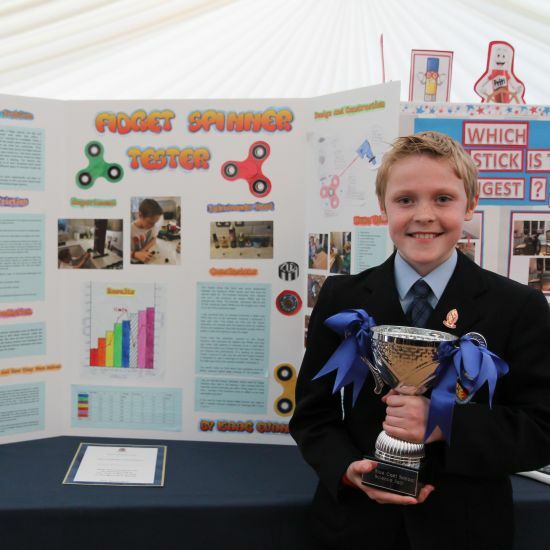 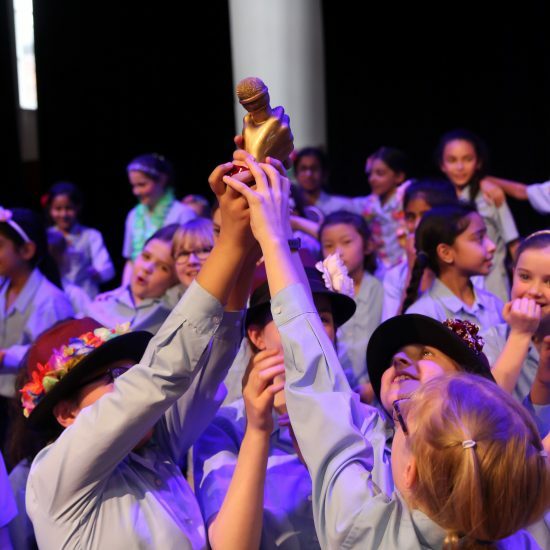 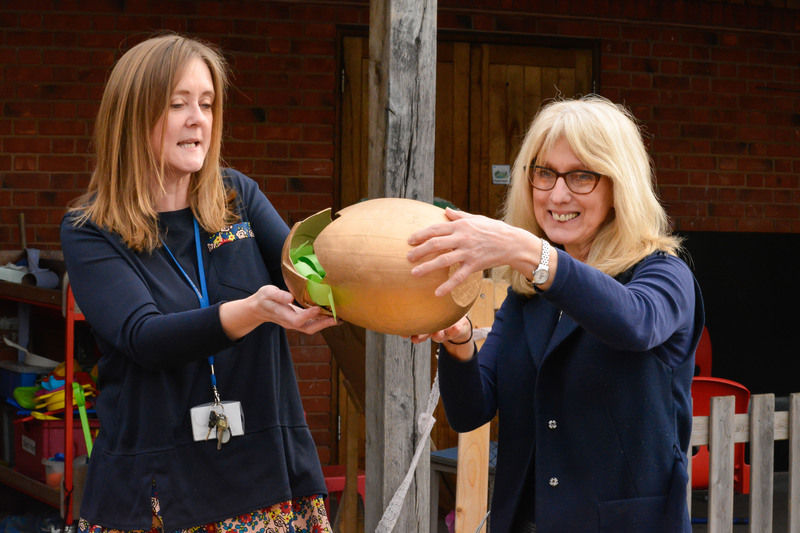 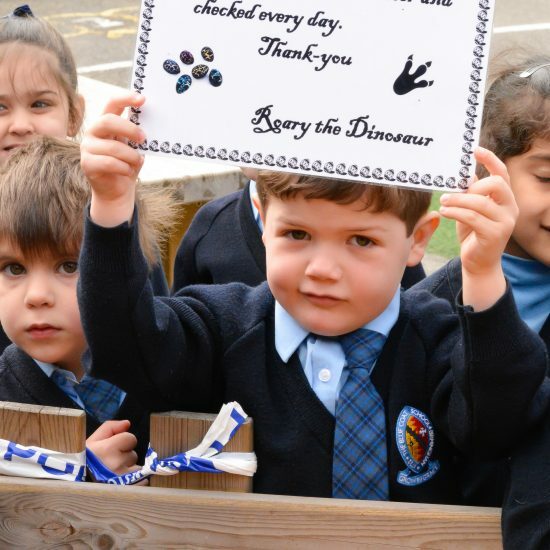 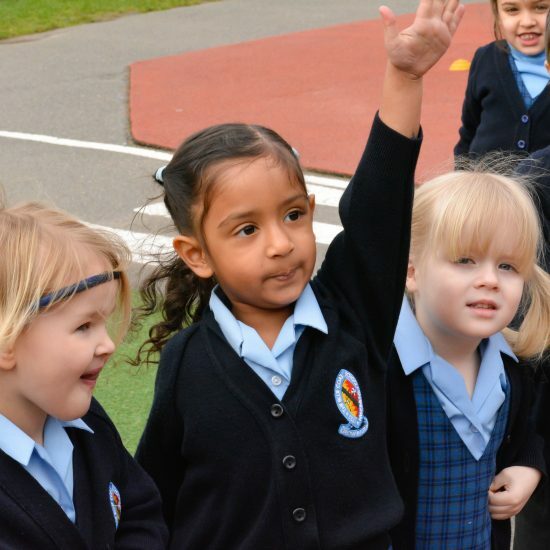 Home | News & Events | Latest News | Pre-Prep | Transition’s Dinosaur Hunt! 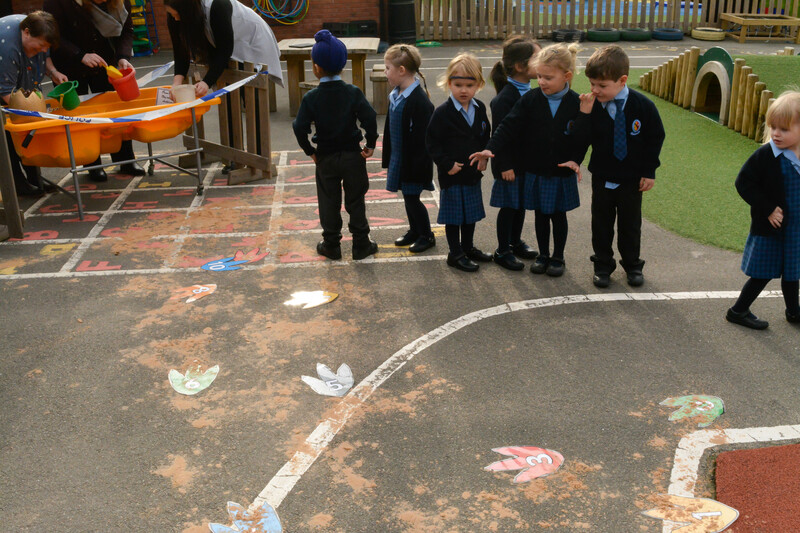 Transition children were very excited to find there had been an unexpected visitor to their playground this week. 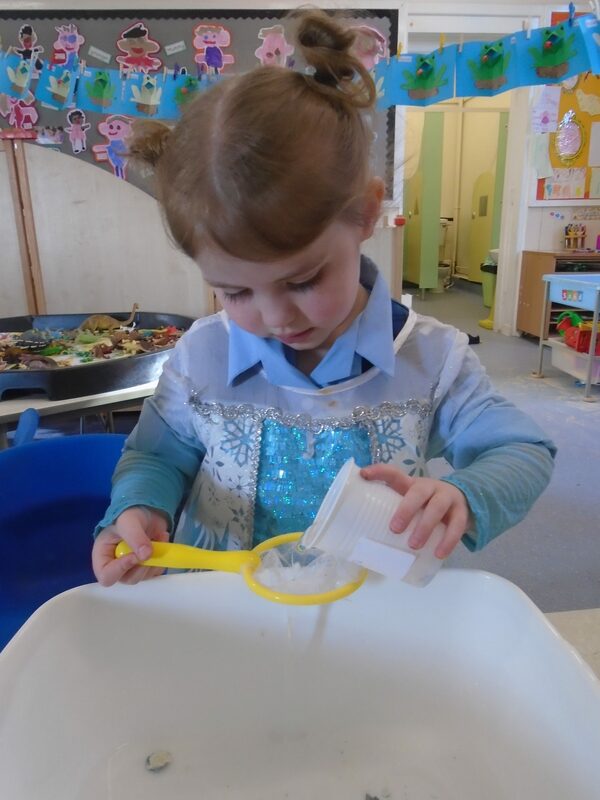 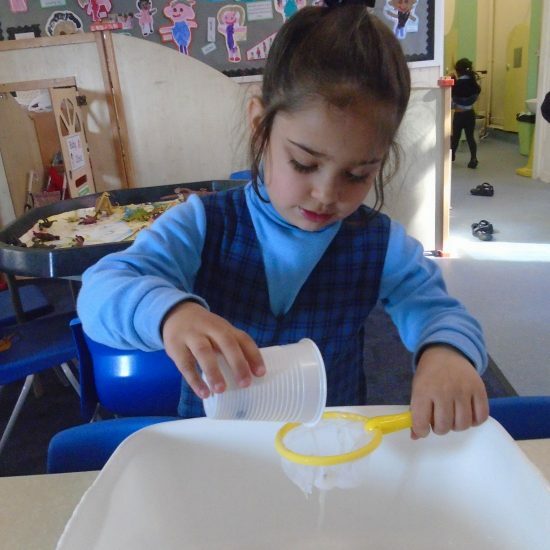 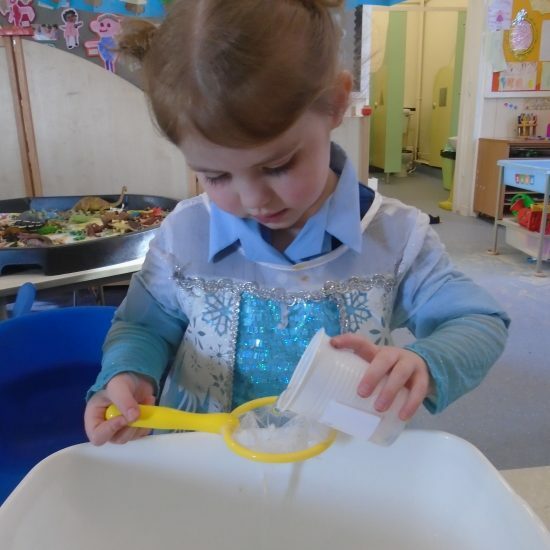 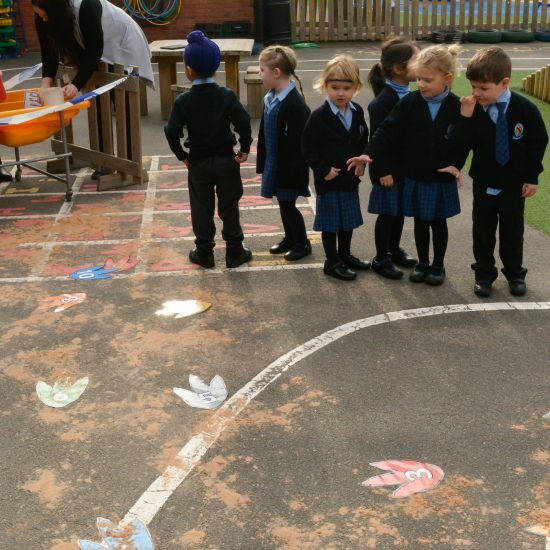 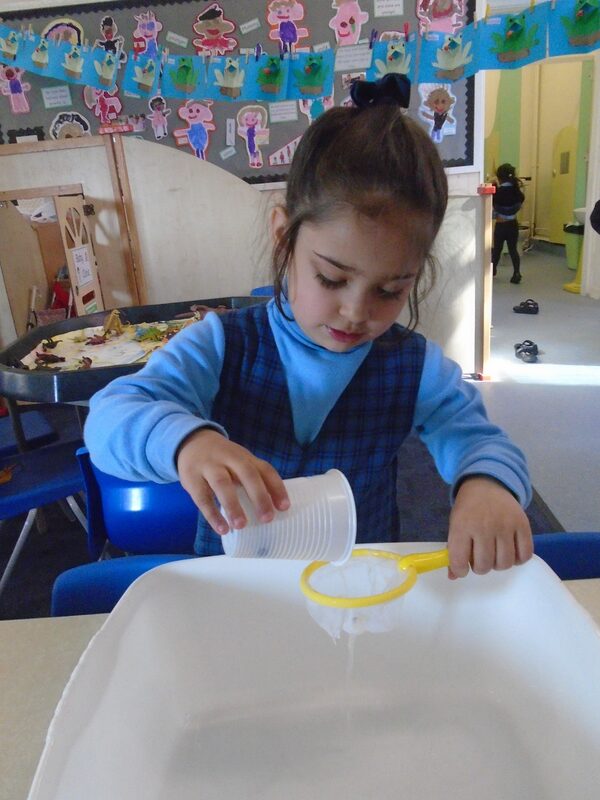 They went outside to find some strange looking footprints leading to a large golden egg, as well as lots of small multicoloured eggs which had been left in the sandpit. 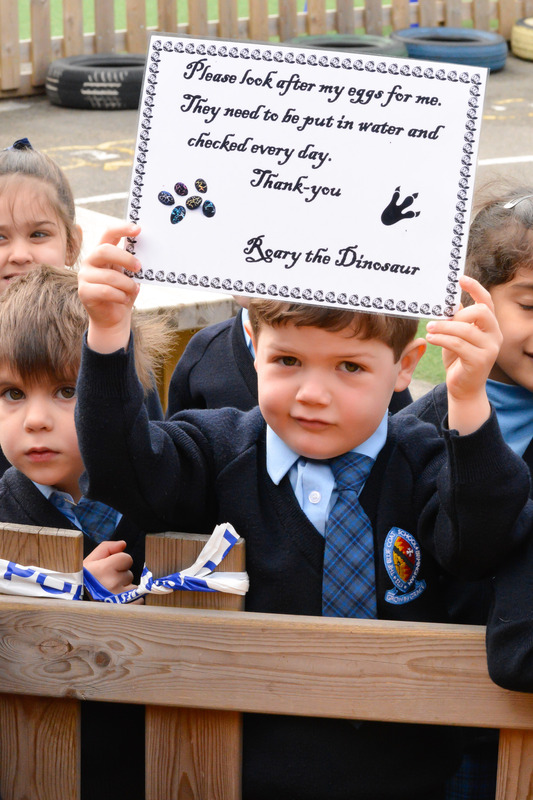 There was an accompanying letter from Roary the dinosaur asking the children to take care of the eggs and to place them in some water. 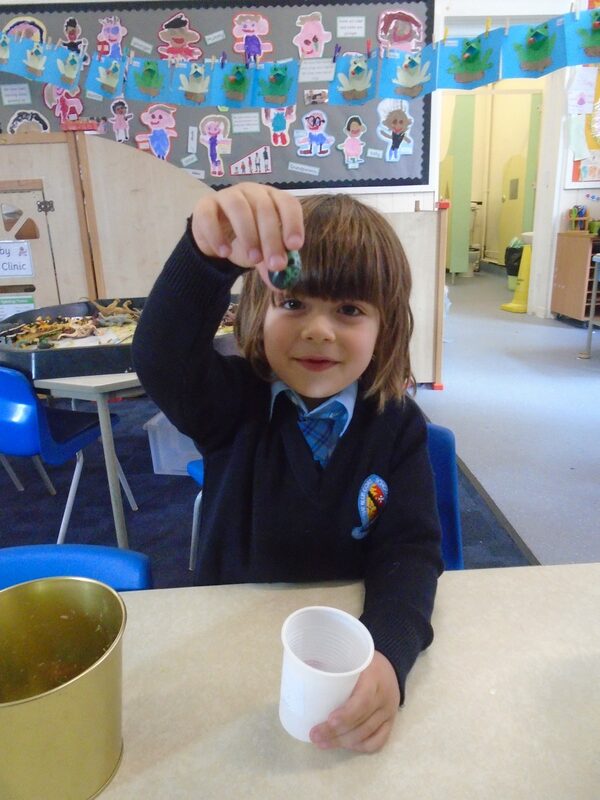 There was much discussion as to how the eggs got there and what might happen next. 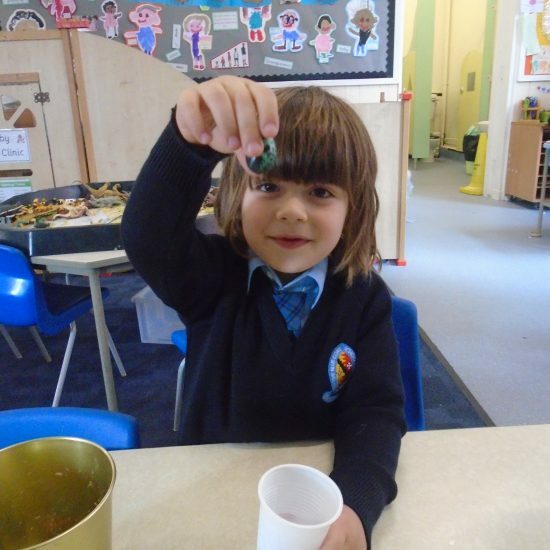 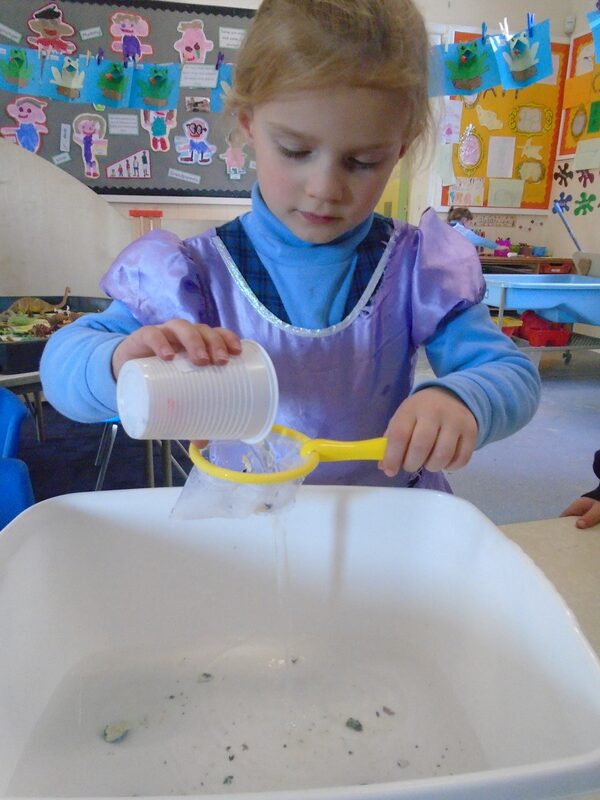 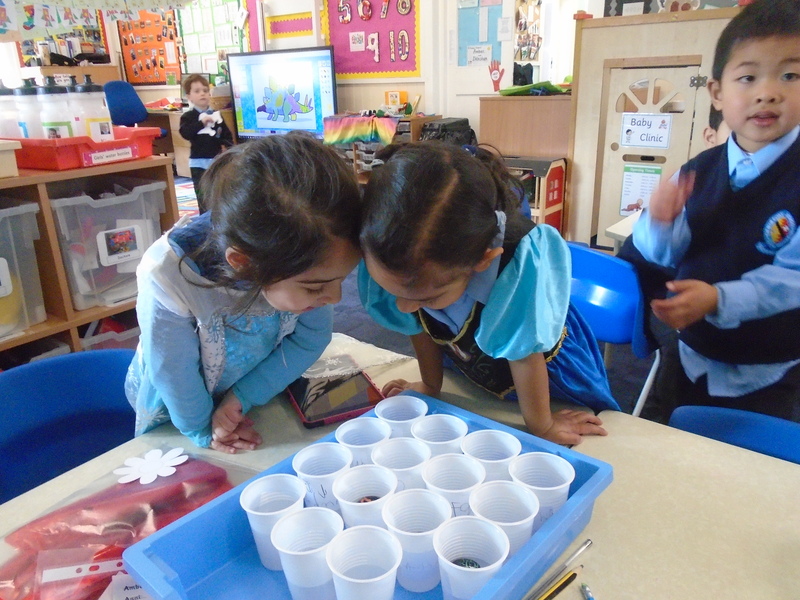 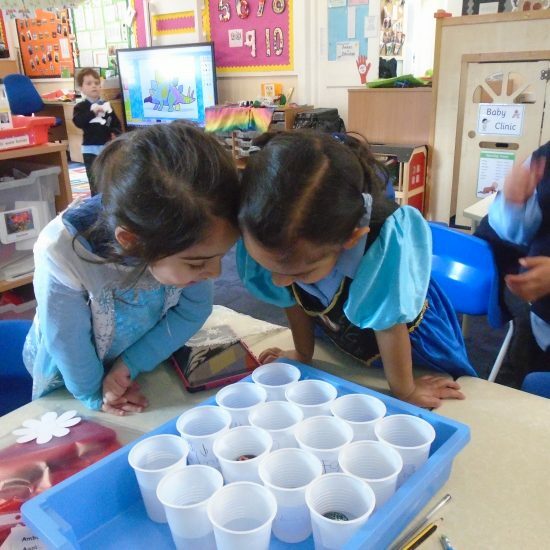 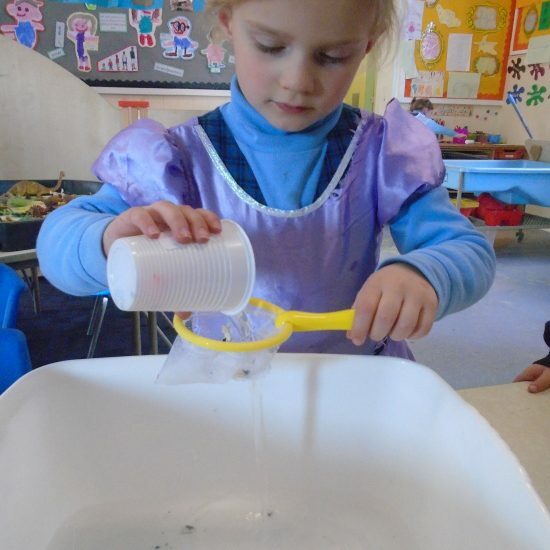 After finding their dinosaur eggs, the Transition children then carefully followed the instructions and put the eggs in water. 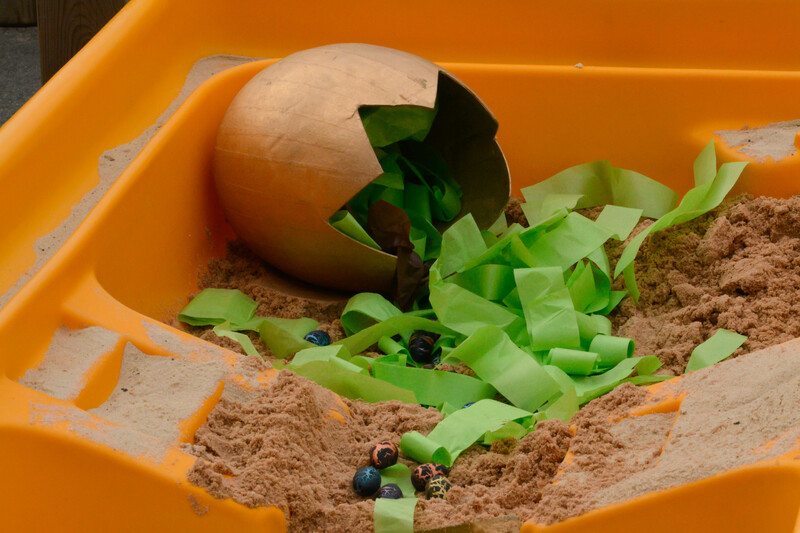 They watched and waited and after a couple of days all of the eggs hatched into baby dinosaurs. 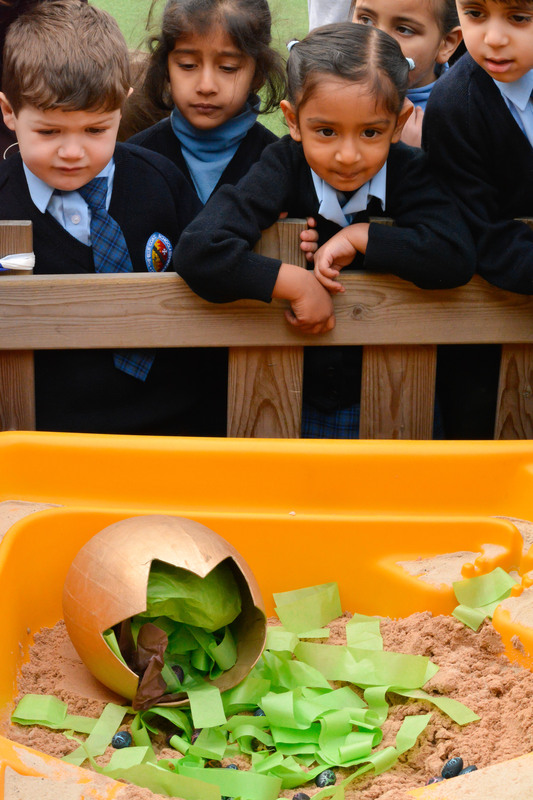 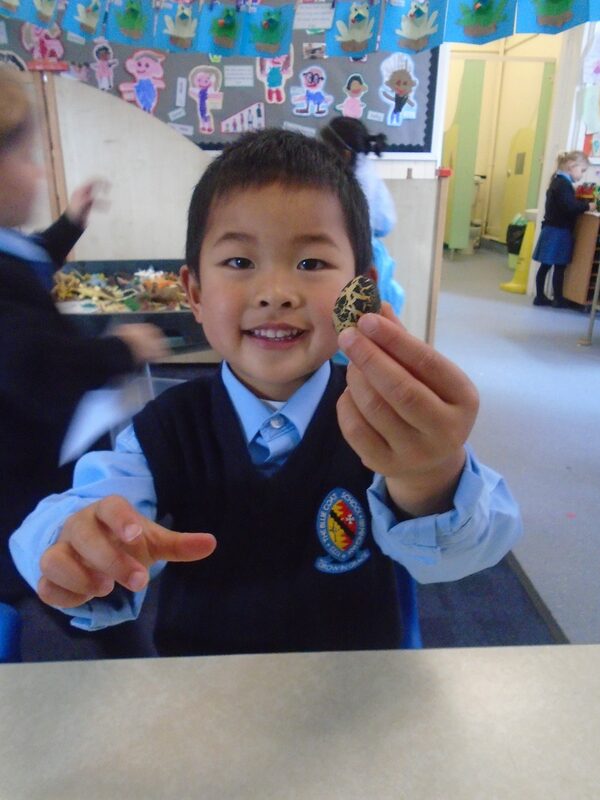 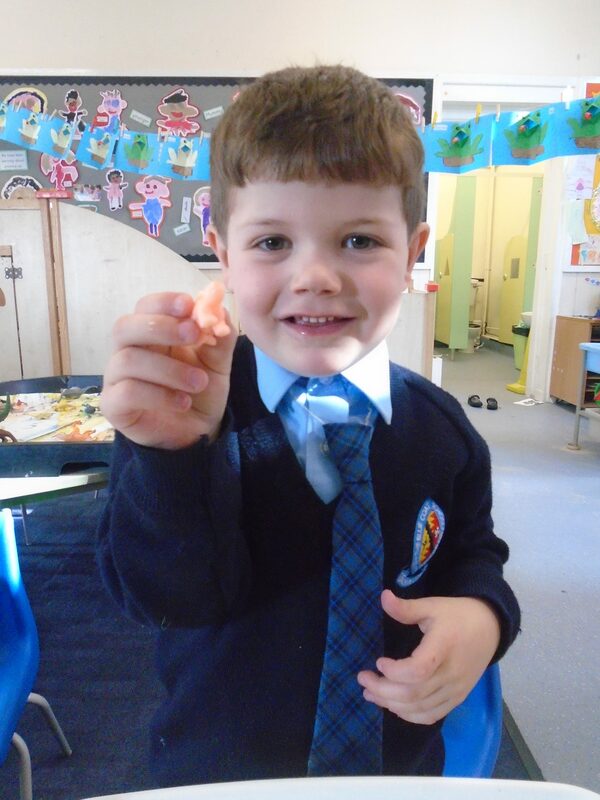 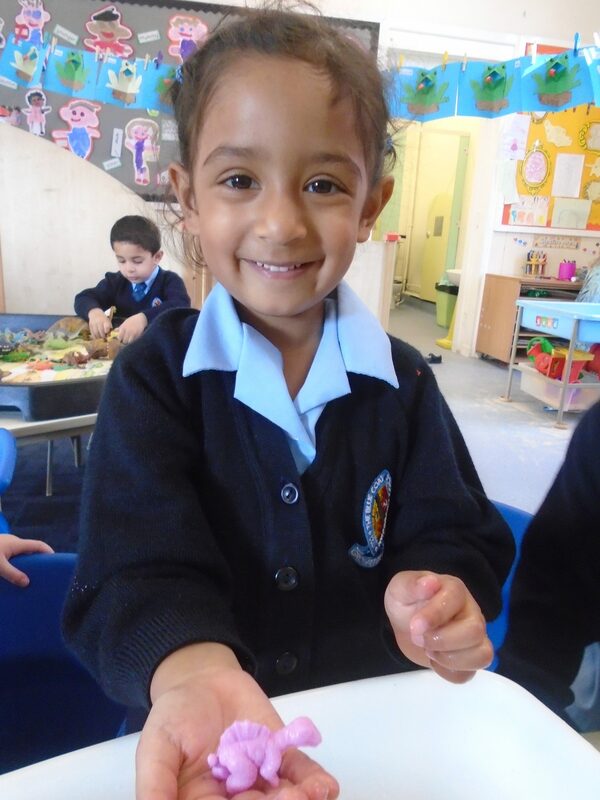 The children carefully retrieved their hatching dinosaur and thought of a name! 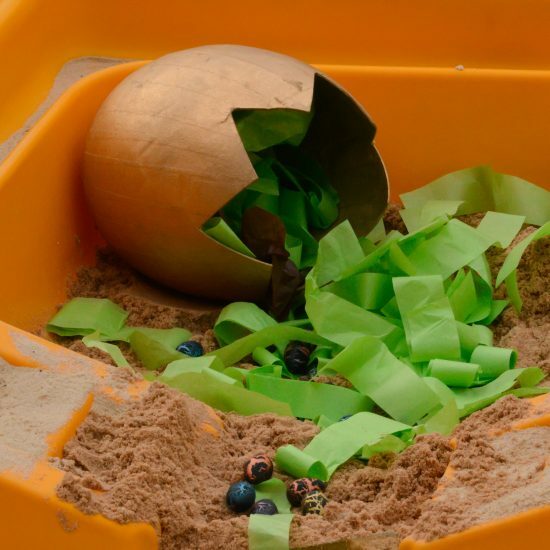 They have taken on responsibility for the little eggs. 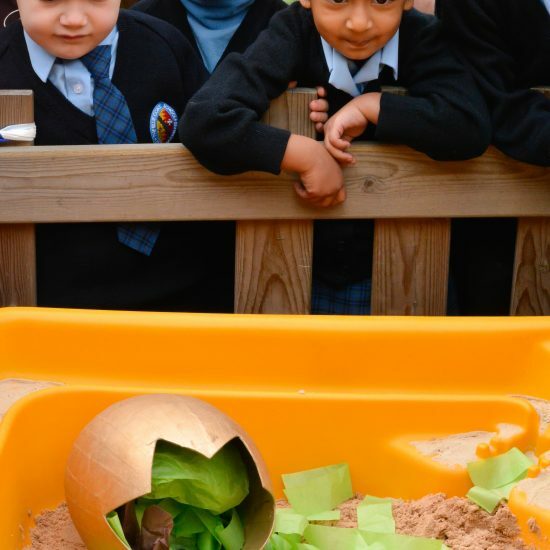 There will be lots of other dinosaur learning taking place this week as part of the “Out of the Egg” topic.